Good afternoon, Fantasy Baseball fans! My name is A. J. Applegarth, and I’m very excited to be joining the Fantasy Six Pack blogger staff to discuss all things Fantasy Sports. 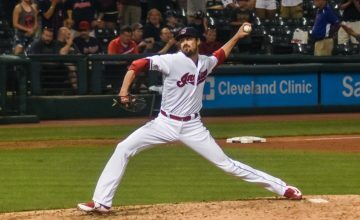 As stated in Joe Bond’s most recent post on the Fantasy Six Pack site (http://fantasysixpack.blogspot.com/2012/05/fantasy-baseball-in-batters-box.html), the majority of my articles will focus on Fantasy Baseball Pitchers while he handles info on Hitters. I’ll be the first to admit that I am not a Fantasy “expert” by any means, but I have been playing Fantasy Sports (mostly Baseball and Football) for well over a decade, and have had a pretty good track record at winning my league championships. 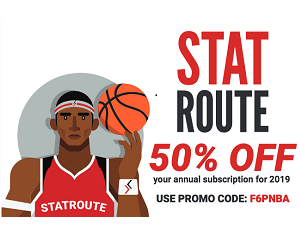 With that in mind, I’d like to thank Joe for giving me this opportunity to share my thoughts/opinions on Fantasy Sports, and help make the Fantasy Six Pack website an even more-valuable resource for Fantasy Sports information. Well, now that I’ve given you a little insight about myself and what I hope to bring to the site, let’s get down to some pitching news / stats! My goal is to break-down my Fantasy Baseball Pitching posts into two sections (SP & RP) to make the information a little easier to track. Since I’m new to the site, I am open to any ideas on how to make my posts more informative, so do not hesitate to send me your comments. As always, we here at Fantasy Six Pack are here to help, but it is up to you to decide whether or not the information we provide can ultimately help make your team better. Depending on the format of your league, SP can be very helpful, but it can also be very detrimental (if your league uses negative points). Every pitcher is going to have a “bad” outing here and there, so it’s really just a matter of trying to have players on your team that will keep those “bad” outings to a minimum. 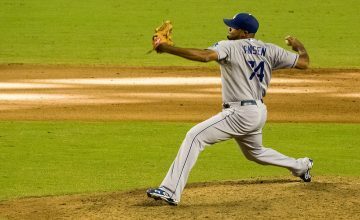 I don’t really want to focus on the “Top Tier” guys, as most Fantasy Baseball managers know what SP “studs” bring to their teams, so I want to highlight a few guys that are a little more “under the radar” so to speak. 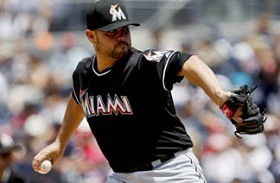 Ricky Nolasco (SP – MIA) – So far this year, Nolasco has been very solid, with a 4-0 record in six (6) starts for Miami. He has pitched three straight QS, hitting 7.0+ in all of those starts. Unfortunately, Nolasco’s K’s are the lowest they’ve been in three years (only at 3.5 K/game in 2012 compared to 6.3 K/game in 2009), but he also has a much lower ERA (2.72 in 2012) and WHIP (1.11) compared to his career numbers (4.43 and 1.28, respectively). The drop in K’s is a bit worrisome, but if you can find the K’s from some other pitchers, the W, QS, ERA and WHIP are nice stats to take. Nolasco is currently owned in 87.3% of leagues, and has an add-rate of 26.9%, but I feel that high add-rate is partially tainted by the fact that Nolasco is starting today against the Mets. Ricky does have a gaudy 5.03 career ERA against the Mets, and faces NY knuckleballer, R. A. Dickey, but I am still starting him with confidence based on his stellar start to the year so far. James McDonald (SP – PIT) – Over his last four (4) starts, McDonald has 2-1 record, and has really racked up the K’s with 8, 7, 10, and 8, respectively. McDonald’s biggest knock is that his offense does not give him a ton of run-support, making it even more impressive that he continues to keep his ERA down. In three of those last four games, McDonald has allowed only 1 ER, and currently carries a 2.42 ERA and a 1.03 WHIP. Owned in only 38.5% of leagues, McDonald is someone to keep an eye on, and is starting to show signs of being more than just a “match-up-worthy” start in most formats. 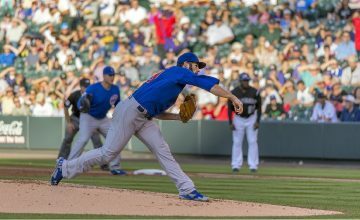 He may not always be able to get the “W” for you, and as the season progresses, I can see his ERA and WHIP moving slightly closer to his career numbers of 3.84 and 1.40, respectively. But, if he can maintain the K’s and QS’s, I think he can be a valuable player to have on your roster. 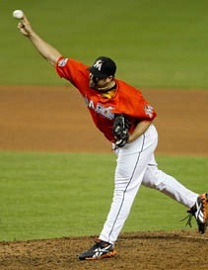 Heath Bell (RP – MIA) – Bell was inserted into last night’s game and was able to pitch a clean ninth inning, striking out one batter. It was a non-save situation with the Marlins down 5-4, but it should be noted that Bell has been reinstated as the Marlins closer as of yesterday, so this could be a sign of better things to come from the beleaguered reliever. So far this season, Bell has been less than helpful in all Fantasy formats, and is currently only owned in 68.5% of leagues because of his rough start, but with the news that he is back as the team’s closer, he definitely warrants watching to see if he has finally righted the ship. Addison Reed (RP – CWS) – With the news that Chris Sale has been bumped back into the White Sox rotation, all signs are currently pointing to Addison Reed taking the lead-role in Chicago’s closer-by-committee situation. Reed has out-pitched Hector Santiago as of late, and is definitely worth an add until this situation becomes more clear. Santiago and Matt Thornton will also be in the mix for some saves, but Reed seems to have the slight edge right now.